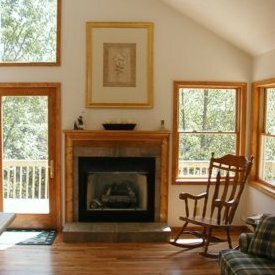 Cabin #1 - Come and stay with us in our first cabin located in the beautiful Hide-a-Way Hills area of the Hocking Hills. 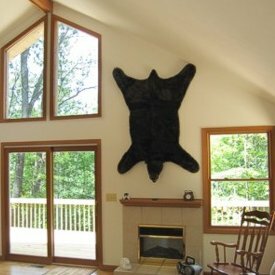 This cabin is located in a heavily wooded area complete with lakes and lots of deer and wildlife. Sit out on one of the two huge decks and enjoy the scenery with a tree top view. 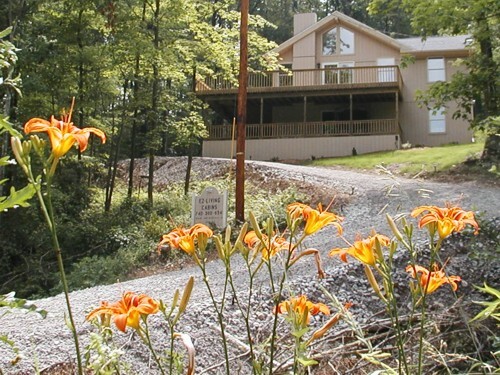 E Z LIVING #2, sleeps 6 Cabin #2 - Our second cabin is located close to the caves and all major attractions in the Hocking Hills area. This well built custom cabin offers something for everyone.! Sit out under the stars in the warm, bubbly hot tub and enjoy the beauty of nature or relax on the comfy swing on one of our huge decks. E Z LIVING #3, sleeps 6 Cabin #3 - This brand new cabin was just opened in the summer of 2006 and it is truly beautiful. The kitchen is huge and comes with a dishwasher and pantry and the hot tub is under a covered roof so it can be enjoyed in all kinds of weather. 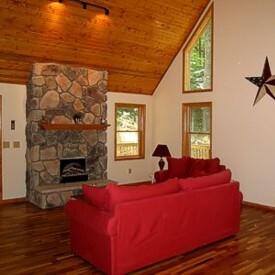 There is a huge deck that goes around the entire cabin or enjoy the outdoor fireplace on the patio on the lower level. This cabin is also within minutes of all caves and major attractions. 15% cancellation fee if reservation is cancelled within 14 days of arrival. All cancellations will be charged $25 processing fee. © 2003 - 2007 All rights reserved Designed by American Dreams, Inc.